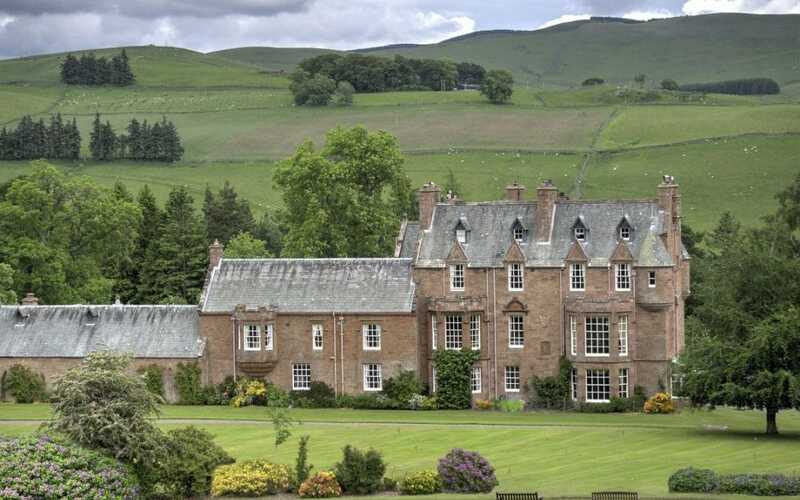 Book a Scottish Borders winter break with a visit to Scotland’s Cringletie House. The hotel, which is located in the heart of the beautiful Borders, near Peebles and close to Edinburgh, is offering guests a fabulous Weekday Winter Warmer package with roaring log fires, delicious food and traditional Scottish hospitality for just £195 per person. A former Baronial castle, set in an area of outstanding natural beauty, the hotel boasts 12 individually styled bedrooms, a luxury suite and a self-catering property in the grounds. Guests indulging on this winter package will enjoy two night’s luxury accommodation in one of Cringletie’s Classic rooms. For just £40 per night guests can upgrade to one of the hotel’s Luxury rooms, which offer a little extra space and king size or super-king size beds. Guests will be welcomed on arrival with a special Scottish Borders tea, thistle and Bannock. There will be chestnuts to roast, a glass of mulled wine or Cringletie fizz, sumptuous winter fare in the hotel’s magnificent restaurant and a hearty Scottish breakfast each morning. On departure, guests will also be given a gift to take home from the hotel. Make the most of winter with a dram of the finest Scottish whisky by the fire or blow away the seasonal cobwebs with a walk in Cringletie’s impressive grounds and the surrounding Borders countryside. There are plenty of activities to choose from whether fishing, mountain-biking or horse-riding in the beautiful Scottish Borders countryside. Set in 28 acres of private land, Cringletie House is home to some of the area’s most stunning natural features. As well as sweeping lawns, there is mature, dense woodland, a breathtaking river and waterfall, a historic dovecote and a walled garden with a 400-year-old yew hedge, thought to be the oldest in Scotland. Priced at £195 per person, the Weekday Winter Warmer package includes two nights’ accommodation with a freshly cooked Scottish breakfast each morning, a welcome Borders tea, a glass of Cringletie fizz or mulled wine, roasted chestnuts, dinner in the restaurant on both nights and a special parting gift. The package is available on Wednesday and Thursday night until the end of March. All of Cringletie’s rooms include hi-speed wired internet and Wi-Fi, an iPod docking station, individually controlled heating, a settee or twin tub chair seating, tea and coffee making facilities and slippers. Every bedroom has a view of the gardens. Former Scottish Baronial castle, Cringletie House, located near Peebles, is 30 minutes south of Edinburgh and has 12 bedrooms, one suite and a self-catering cottage in the grounds. The hotel is set in 28 acres of grounds which include woodland and wildlife walks. There is a walled garden which includes a vegetable patch, a children’s play area with climbing frame and trampoline, plus croquet and boules on the lawn. The region boasts not only spectacular scenery but some of the best mountain biking in the UK at Glentress and fishing on the Tweed. The hotel welcomes well behaved dogs and there are bowls and biscuits on arrival, doggy walk maps, acres of grounds to explore and towels for muddy paws. The hotel is fully wheelchair accessible and includes a range of disabled facilities – quite exceptional for a historic building. These include a ground floor room and en-suite bathroom specifically designed for wheelchair users, technical equipment in the bedrooms to help guests with impaired hearing feel safe in their beds at night and a result the hotel was named in the Top Ten of Accessible Hotels in the UK.